California Living ® reveals the secrets to Napa Valley wine and food pairing on ION Television. California Living ® host Aprilanne Hurley invites you to discover the secrets to creating perfect food and wine pairings with Napa Valley wine this week on California Living®. Get ready to celebrate the holidays with California Living ® host Aprilanne Hurley, and discover the secrets to creating perfect food and wine pairings with Napa Valley wine. Foodies and home chefs will love all the delicious Napa Valley food, wine and fun California Living ® is dishing in Napa Valley Wine County. First, we get a taste of Napa Valley wine at Trinchero Family Estate’s Sutter Home Inn with Winery Chef Jeffrey Star, who shares his secrets to food and wine pairing for easy home entertaining. California Living® host Aprilanne Hurley celebrates the relaxed California Life & Style™. You’ll never have to ask “what wine goes with what” after you catch this California Living® Food & Wine Pairing Special airing Tuesday, Nov. 15, 2016 on ION Television. The California Living® spotlight is on elegant yet uncomplicated food and wine pairings to celebrate the relaxed, California Life & Style,™ which is what real California Living® is all about. 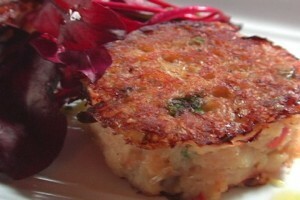 California Living® host Aprilanne Hurley dishes Napa Valley Crab Cakes on ION Television. What is the best wine to pair with spicy dishes? What wine goes best with bold meats? Does red or white wine pair best with fish? The secrets to creating perfect food and wine pairings of your own at home. Plus, we’ll be dishing a few of the recipes featured in this show, so you can create some of the delicious recipes for your next dinner party. Click here for CALIFORNIA LIVING® Broadcast TV channel placement information. 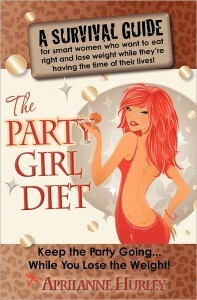 The Party Girl Diet by Aprilanne Hurley, series creator and host of California Living ®.CALIFORNIA LIVING® is sponsored in part by The Party Girl Diet™ & Super Abs Playbook™ – 2 books in Aprilanne Hurley’s revolutionary, healthy NEW lifestyle book series available on Amazon.com to help you “keep the party going…and keep the weight off” this season. Complete with easy and delicious Hawaiian inspired recipes with a “story,” and fun, quick workouts you can do anywhere, men and women everywhere will be saying “Aloha” to a “New Way of Life” with Hurley’s “Aloha Diet.” Please visit AlohaDiet.com for more information and release dates. Aprilanne Hurley completed her nutrition studies at San Diego State University in “Optimal Health, Wellness and Sports Nutrition,” and has received certifications as a Specialist in Fitness Nutrition and Lifestyle Fitness Coaching. Aprilanne Hurley is the author of The Party Girl Diet™, The Super Abs Playbook™, and The Socialite Diet™ all available on Amazon.com. Aprilanne Hurley is the Series Creator of CALIFORNIA LIVING® – the California Life & Style™ inspired TV magazine format show featuring California’s trends in food, travel, and healthy living celebrating 10 years on broadcast television. Get the inside look at California Living TV videos and a few of the Party Girl Diet’s recent live media appearances featured on the official California Living® YouTube Channel. CALIFORNIA LIVING® is the Registered Trademark of Aprilanne Hurley, Inside Look TV, LLC. (c) 2005 – 2016 All Rights Reserved. Aprilanne Hurley, California Life, California Living, california wine, Food and wine pairing tips, Jeffrey Starr, Napa Valley, Napa Valley Wine, napa valley wine and food pairing, Sutter Home Inn, Trichero Family estates. Bookmark.